Is It Safe to Use a Home Equity Loan to Buy a New Car? Consider auto loan options before using your home equity loan to purchase a car. Buying a new car is exciting. With so many options to chose from you can spend months picking out the perfect make, model and color. When it comes time to finance it you can use a traditional auto loan, or go after the tax deduction and use a home equity loan to pay for it. Home owners wondering if it's safe to use a home equity loan to buy a car should ask themselves if they are comfortable risking their home. Life is like a poker game. You make bets based on what is in your hand and hope you will win. Don't use your home to buy things unless you are ready to place that bet. Chose your new car before you decide how to finance it. Car manufacturers offer specials throughout the year so you may get the best deal by going with them. If you can get 0 percent financing or a low rate through the manufacturer or your financial institution, you should take it, jump up and down, and smile as you leave the dealership key in hand. Call local banks and credit unions to find out what interest rate they are offering on auto loans. Compare those rates with the current interest rate on your home equity loan. It needs to be a significantly lower to warrant using your home equity loan to finance a car. Unlike comparing mortgage loans, the best choice is not based solely on rate. Look at the term on a standard auto loan. They are usually for three to seven years. This is for good reason -- cars don't last forever. While you may hope that your shiny new truck will be passed on to your great-grandson, that is highly unlikely. After 100,000 miles some cars don't run very well and it is time to buy a new one. Using a home equity loan with a longer payoff term doesn't match the lifespan of your new car. It doesn't make sense financially to make 30 years of payments on something that only lasts seven. Taking out a home equity loan is risky because any time you use your home as collateral you are allowing the lender to put a lien on your title. If you can't pay the loan, the lender can take your home through foreclosure. Many people have lost their homes to foreclosure and it's typically because life changed and all of a sudden they could no longer afford the payment. The more debt you have on your house, the higher your mortgage payment and the more at risk you are. Bethany Wood has been a writer since 2003. She contributes to magazines, industry publications, websites and various businesses. 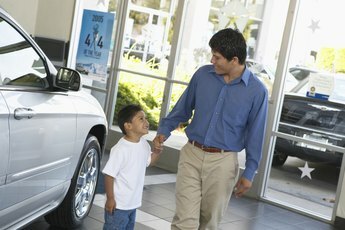 How do I Buy a New Car Online? 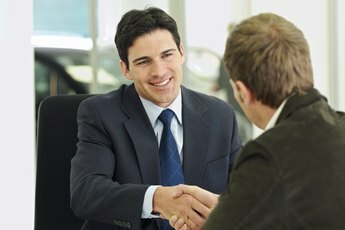 How do I Buy a New Car From a Dealer?